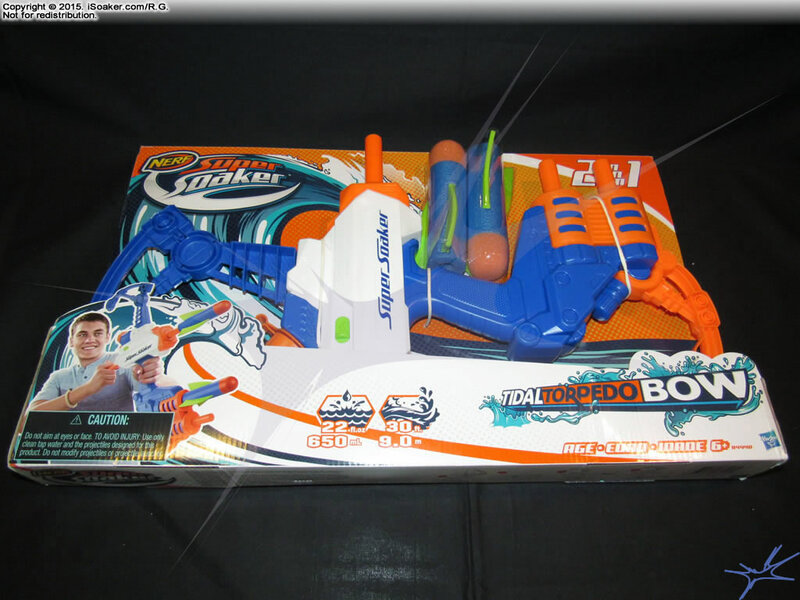 The Nerf Super Soaker Tidal Torpedo Bow is a new piston based water blaster by Hasbro Inc. for 2016. 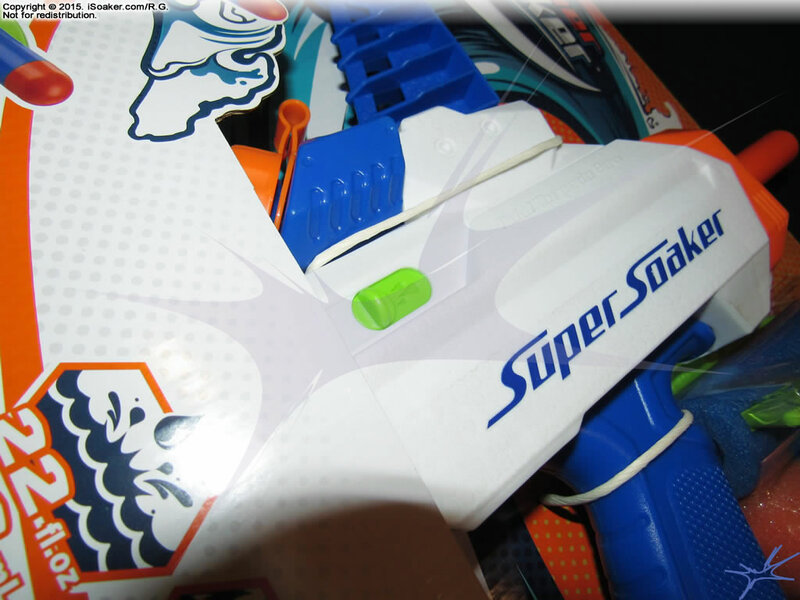 It shares a similar name and functionality with the Nerf Super Soaker Tidal Torpedo (2015), but gains the "Bow" word thanks to its bow-like styling. Unlike the Nerf Super Soaker Rebelle Dolphina Bow Blaster (2014), the Tidal Torpedo Bow's reservoir only occupied the lower arm of this water blaster. Also unlike other previous bow-shaped water blasters, the Tidal Torpedo Bow comes with two foam arrows/missiles, allowing the Tidal Torpedo Bow to shoot foam arrows, water, or both. Interestingly, unlike the Tidal Torpedo (2015), the Tidal Torpedo Bow has a switch on its right side, allowing one to select whether the pump should only draw air or whether it should draw water from its reservoir. we are unclear the point of this switch since, if the reservoir is left empty, it would shoot only air and, if one had the reservoir filled with water, when would one only want to fire off one of the foam arrows without water? Oddities aside, the Tidal Torpedo Bow comes packaged with two foam arrows and features a foam arrow/missile holder on the Tidal Torpedo Bow's lower arm. 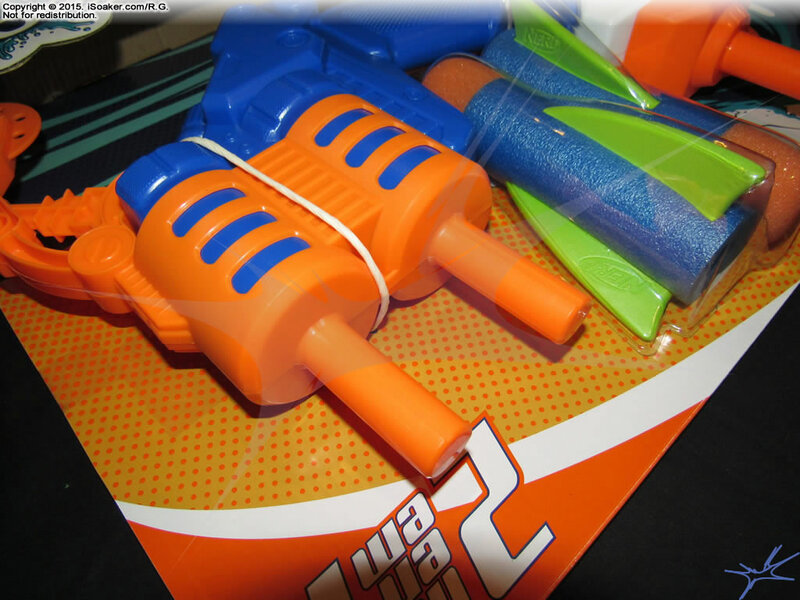 As this water blaster has yet to be removed from its packaging, whether the Nerf Super Soaker Tidal Torpedo Bow must be pulled or push to shoot has not been confirmed, though we have a feeling it needs to be pulled to shoot. We are leaning towards doing further testing on this water blaster model. Likely decent for small to light skirmishes, the Nerf Super Soaker Tidal Torpedo Bow is likely outclassed by most larger pump-action water blasters as well as nearly any air or elastic pressure water blaster. Though able to be used with or without water, the added value for this feature remains unclear.